We’ve been running the Asterisk SIP Masterclass ourselves and with partners (Telespeak in the UK and Avanzada7 in Spain) for many years now. It’s time to run the last show – as always partly with new material. Compared with the very first Asterisk SIP Masterclass I would say that I’ve rewritten 90% of the material. That’s what happens during the class. Students ask questions, you write a slide. The world changes, you write a slide. You realize you’ve been wrong, you delete or edit a slide. It’s a moving target. The last one of these classes that I teach will be in Barcelona, Spain – June 11th to June 15th. Things change and you need to follow. 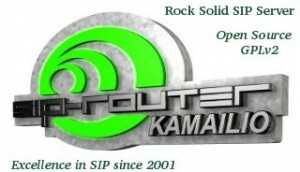 During the last couple of years I’ve been running many, many in-house trainings and workshops covering both Asterisk, SIP in general and Kamailio. There seems to be more demand for customized trainings that boost a team and help them move forward. I will continue with these trainings, as well as try to come up with other trainings that will run just a few times – more lab oriented possibly. Feedback is as always very welcome. “This class is focusing on building a scalable SIP realtime network. With a combination of theory and practical labs, you will learn how to setup and configure Asterisk and Kamailio – the Open Source SIP server – in a scalable enterprise or service provider network. We will go through various kinds of setups and give you insight in the design of real SIP networks with Asterisk running in enterprise and service provider networks. The teacher Olle Johansson, has many years of experience as an Asterisk developer as well as a community member of Kamailio.org. By spending a week with Olle, you will get a lot of insight into current and future features, bugs and implementation details in a way that’s hard to get otherwise. The class is a five day high level class. You will meet not only myself, but also other students that work with these tools and protocols, learn from them and work together to solve issues in the labs. You need to have a basic knowledge of Linux (how to start/stop applications, edit text files and build applications) and Asterisk. This class is starting at a high level with Asterisk. If you rather use FreeSwitch but want to learn Kamailio that is no problem. You will just have to endure a few slides on Asterisk – but many of the issues apply to FreeSwitch as well as other PBXs too. The cost is 3.200 Euro ex VAT. Companies outside of EU do not pay VAT as well as companies in EU with a VAT registration number. If you have any questions or want to register, feel free to contact me on info@edvina.net. Our description of the class covers the content in more detail. Looking forward to seeing you in Barcelona! Want to learn Kamailio? Join us in Miami, FL, after Easter! What’s Happening with SIP and IPv6?